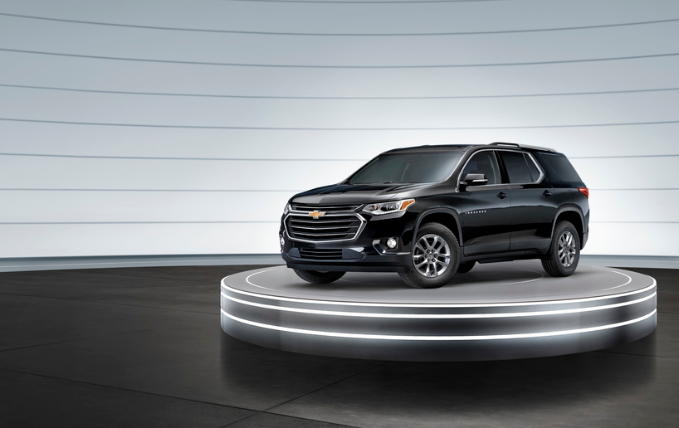 Fuel Efficiency Spotlight: What Is The 2019 Chevy Traverse MPG? Many people are asking about the Miles Per Gallon ratings for the new Chevy Traverse. The short answer is the EPA estimated mileage is 18 MPG City, 27 MPG highway, for a combined city/highway rating of 21, when equipped with a 3.6-liter engine and front wheel drive transmission. If you are satisfied great. There you go. If you have more questions like I did, read on. How Does the Monroney Sticker Arrive At These Numbers? How do they arrive at these numbers? The EPA has a testing facility they use to arrive at these numbers. One might expect the EPA takes the vehicle for a drive along various roads and checks the mileage. Nope. The mileage test takes place indoors. They have a device called a dynamometer. It is similar to a large treadmill. The vehicle is secured to this large rack with the wheels placed on rollers. They put a professional driver in the test vehicle, (Ok, does that strike you funny? A professional driver for a car on a treadmill) who drives, or more accurately, simulates driving the vehicle through two standardized driving schedules designed to mirror city and highway driving. The driver follows a real-time computer display, very much like a video game. The city drive is intended to simulate a rush hour experience where the vehicle is started cold and then driven in stop and go traffic. The plan is to drive 11 miles and make 23 stops over the course of about a half hour. The speeds vary from 20 to 56 miles per hour. The highway program is written to simulate a rural environment including interstate speeds with a warm engine. The plan includes driving for 10 miles over a period of about 12.5 minutes with average speeds of 48 to 60 miles per hour. Both tests are conducted with the air conditioning off. The fuel use is arrived at by connecting a hose to the vehicle’s tailpipe. This hose collects the engine’s exhaust and measures the amount of carbon in the exhaust. They calculate the fuel used based on the carbon and then adjust the fuel economy figures down by 10% for city and 22% for the highway to help reflect the differences between the lab results and your actual experience. So basically, they use a standardized test to make an educated ‘guess’ what mileage you will get on the road. Rest assured, they use the same plan to guess all the vehicles tested. They also include what engine and drivetrain were used for the test. In the case of Traverse, it was a 3.6L front-wheel drive vehicle. What Can I Expect To Get for MPG Out Of The Chevy Traverse? In some ways, it is a tough question. Maybe that is why there is a range of mileage on the window sticker. Do you drive 11 miles through rush-hour traffic making 23 stops every morning? Do you leave the air conditioning turned off? Do you take it easy starting out and coast before stopping? Are you driving into a headwind or in rain? Do you drive at speeds between 20 to 56 miles per hour? Is your Traverse full of stuff/people or empty? Are your tires inflated to the proper pressure? Are you using quality fuel? Have you maintained your engine including timely oil changes? Is your fuel system clean? Is your air filter clean? Are your wheels in alignment? The only thing that is consistent is the EPA uses the same program to test every vehicle. Your driving habits, your route to work, the condition of your vehicle, etc. will affect your actual results. Can you do better than 18/27? Sure. Can you do worse? Yep. 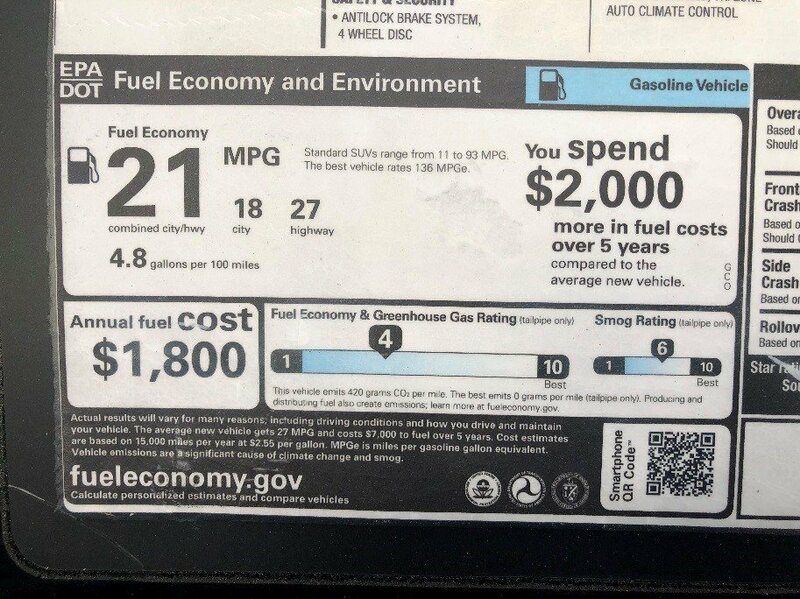 This is a sure thing; if you buy a Traverse as opposed to a vehicle with a rating of 15/22, your mileage will be better and it will cost you less to drive it. The EPA calculates, for Traverse, you will spend $2,000 more in fuel costs over 5 years. However, that is compared to the average new vehicle. 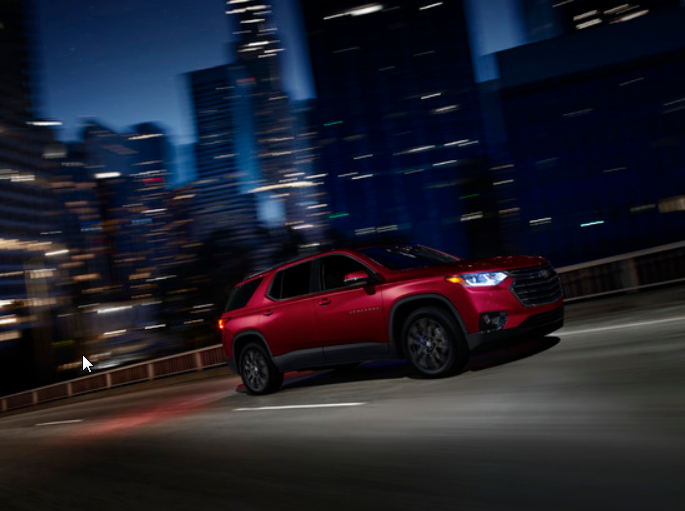 If you are choosing between a Traverse and something else, and you do the math, you can predict how much, over the course of a year, you will save in fuel costs by choosing a Traverse over a vehicle with less of a rating. That is really an important question and answer. Maybe that answer means you can afford a few more options or accessories for your new Traverse. To inquire about the Chevy Traverse at Gordon Chevrolet, call (904) 272-2200 or fill out our contact form!